Does anyone have any suggestions for a 1 tonne trailer? I am currently considering buying one to tow with my and the towing limits for it are 1000kg with brakes and 500kg un-braked. ifor williams or indespension are the 2 best and built like tanks. Too big for me unfortunately as the maximum towing capacity on my is for 1000kg gross weight. Also I was looking more for suggestions as to what is best. I recently bought an Ifor Williams Q trailer for moving my sheep. They are a great design and modular so you can spec them how you like (roof/sides/ramps etc). Definitely worth a look IME. 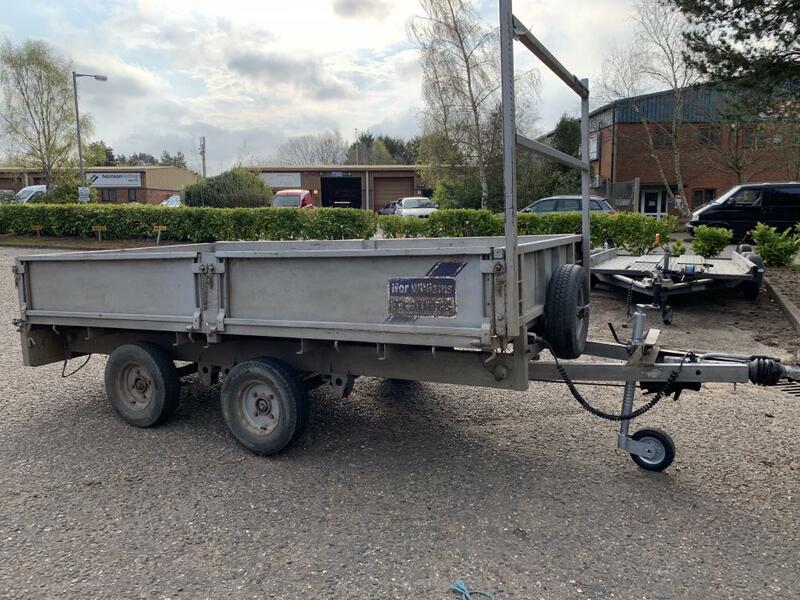 Has anyone on here used one of the Ifor Williams eurolight trailers? I am driving a panel van so if I do need to keep anything out of the weather I can put it in there. Should say it is for carrying a small shredder with me. Will likely also be used for moving landscaping supplies to get my monies worth out of it. Is it not worth doing your trailer test? Sorry, didn't realise that it was the van that was dictating the towing weight, my bad. You can use a heavier plated trailer. The GTW is limited by real weight unlike licences that use plate weights.